Wondering how can you activate your Borderlands 2 Season Pass on Steam? To solve this, contact STEAM Support and mention your problem. It DOES work. The wait period (as of this time) is around 3 or so days. You'll get your gift and all the benefits and so forth. Edit: Fantastic news! A new Borderlands 2 Windows 8 fix is now available for patching your game! 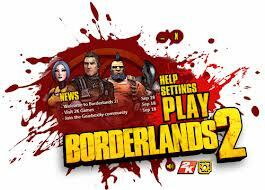 Check out Borderlands 2: Patch v1.1.3 - Windows 8 Fix! There are MANY, many people who are using Windows 8 Consumer Preview as their primary OS / Operating System now. This can range from people who are tired of Windows XP, hate Windows Vista, or simply wanted a change from Windows 7. As such, you may not have two partitions created for a dual boot configuration (or if you do, you don't want to switch off of Windows 8). 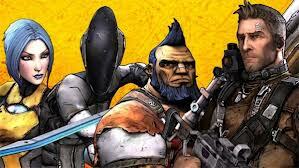 So you may have noticed something annoying -- Borderlands 2 Won't Open on Windows 8! It simply won't launch. You double click the EXE or try the launcher and nothing happens. There's a Windows 8 Fix for it that's out, but that only works for version 1.0.0 and if you patch your game and get the new DLC's, then it just won't open and won't work. 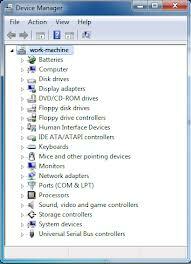 I will first address how to fix this problem on Windows 7 (32 bit and 64 bit). If you have a Logitech Mouse, Logitech Keyboard, or both -- then you may experience a ridiculous amount of lag for some games you play. This makes the game stutter, skip frames, and laggy. What's worse is that it isn't just Borderlands 2 that lags. It's other games too -- such as F.E.A.R (FEAR / First Encounter Assault Recon) and many others (such as Borderlands 2 as mentioned). This doesn't happen on all operating systems. It happens on Windows Vista, Windows 7, and Windows 8 Consumer Preview. It can be 32-bit (x86) and 64-bit (x64). Note that it does NOT happen on Windows XP or Windows 2000. This really is a shame since Logitech makes fantastic accessories so it's too bad their drivers are causing issues. Want some good news though? It is easy to fix! 3) Try the game! Still not working? Move to step 4. 4) If you have "HID-compliant consumer control device" listed, then disable that too. 5) Still not working? Restart the computer and try running the game again. If that STILL didn't work for you, then be sure to enable all the disabled listings. Hopefully it DID work for you! Good luck! After the update Borderlands 2 patch for Gaige the Mechromancer became available, an error has been occurring. "Corrupt File - Some of your downloadable content is corrupt and can not be loaded." So if you preordered the game or just got the DLC, then don't worry -- we can help you fix this error. I will post a couple of methods on how to fix this. Keep in mind that some are for the Steam copy of the game and some are for the CD / DVD copy (which can work on the Steam or Origin copy as well). Edit: Great news! A new Borderlands 2 Windows 8 fix is now available for patching your game! 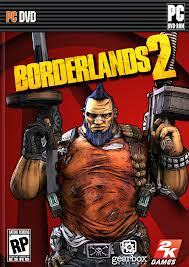 Check out Borderlands 2: Patch v1.1.3 - Windows 8 Fix! Whether you bought the Steam copy of Borderlands 2 or the CD / DVD copy, you may have encountered this annoying error. You try to launch the game via the launcher, and nothing happens. Basically. the mouse cursor moves like it's loading, stop, and it failed to launch. This happens on Windows 8 Consumer Preview and even Windows 7. It doesn't matter if you have 32bit / x86, or 64bit / x64 either. It can even happen on Vista. 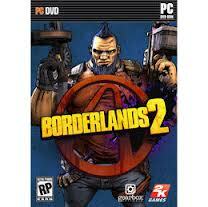 If your Borderlands 2 Doesn't Open, then click this Google Search link (or type "Borderlands 2 Windows 8 Fix"). Locate the patch and use it. Though it is called "Windows 8 Fix", it actually works on the other mentioned operating systems I talked about earlier too. Hope that was able to help you troubleshoot and solve your problem! If it still is not launching for you still, then I suggest taking a look at our other guide Guide: How to Get Borderlands 2 to Run on Windows 8 ! (And Windows 7). It has several additional solutions that can help you get the game to run correctly. When playing Borderlands 2 on the PC, you may encounter errors that are not present on the console versions. Still not working? Then continue with the steps below. Make sure to have an application like WinRAR or 7ZIP (free) that can handle extracting CAB files.